Amino AcidsMusclePharm BCAA 3:1:2 - 240 kaps. ONE SERVING MUSCLE PHARM BCAA 3: 1: 2 UP TO 6,000 MG MIX THREE AMINO ACIDS. BCAA ARE IDEAL FOR THOSE WHO WANT MAXIMUM GROWTH AND REGENERATION OF MUSCLE TISSUE. 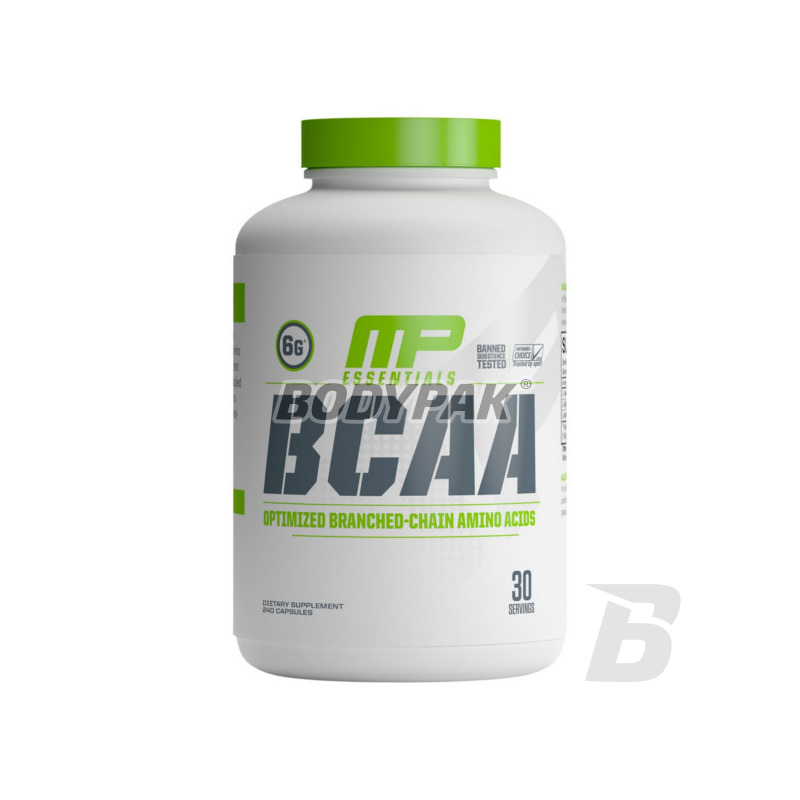 MUSCLE PHARM BCAA 3: 1: 2 TO PATENTED COMPOSITION THAT SCIENCE CONFIRMED RESEARCH TRIAL! 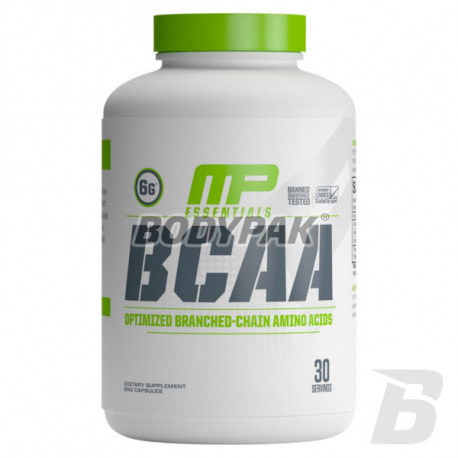 Muscle Pharm is the only commercially BCAA amino acids listed in the ratio 3: 1: 2. Scientists from Muscle Pharm reason designed this product in such a way. The patented formula BCAA 3: 1: 2 is a set of amino acids, which, in contrast to concentrated forms available on the market does not hit you massive dose from the start leaving later as "a whipped cur." Thanks to the use of BCAA in the formula 3: 1: 2 amino acids are supplied evenly from start to finish training. This special formula delivers more leucine and valine than isoleucine. This combination BCAA provides a stronger regeneration process and a faster increase lean muscle mass. One portion Muscle Pharm BCAA 3: 1: 2 to 6,000 mg of mixture of three branched chain amino acids (L-valine, L-leucine, L-isoleucine). BCAA are essential because the body can not produce them with other ingredients, and should provide them with food or supplementation. Research shows that the amino acids BCAA enhance nitrogen retention, protein synthesis and regeneration of muscle tissue. They are responsible for 90% of total absorption of amino acids by the muscles. These three amino acids were combined in balanced proportions to provide the maximum absorption into the body. BCAA's are ideal for people who want maximum growth and regeneration of muscle tissue. There is no accident product Muscle Pharm ratio of these three amino acids is 3: 1: 2. It is a patented composition, which study confirmed the clinical research! Inne składniki: żelatyna, stearynian magnezu, celuloza mikrokrystaliczna.